Applied Science and General Engg. We strive to empower the students with knowledge of all basic engineering and applied science subjects and to provide avenues for development of their physical, intellectual, emotional and spiritual quotients. To provide a stimulating learning environment and state of the art infrastructure with the aim of providing a sound foundation to their engineering studies. To develop creative thinking and inculcate a habit of lifelong learning in students. To encourage the faculty to acquire latest technical knowledge and pedagogical techniques. To strive for a holistic personality development of students. Associate Professor and Head of Dept. Department of Applied Science and General Engineering. (ASGE) is comprised of applied science faculties, i.e., Engineering Mathematics, Engineering Physics, Engineering Chemistry and basic engineering faculties namely, Civil Engineering and Electrical Engineering. The first year syllabus of all engineering branches being common our department is entrusted with the responsibility of centrally coordinating the studies and activities of all the first year engineering (FE) students. All faculty members of our department hold post-graduate degrees in their respective fields and three faculty members hold PhD degrees. In addition, three faculty members are pursuing their doctoral studies. Our faculty members are actively involved in Research and development activities and the department has obtained research grants from Department of Scientific and Industrial Research (DSIR) and Board for College and University Development (BCUD). Faculty members have published a large number of research papers in National and International journals. Staff members attend seminars and workshops to keep abreast of latest developments in the field. They also attend syllabus implementation and syllabus revision workshops and actively participate in University activities. Our department has well designed and fully equipped laboratories for Civil engineering, Engineering Mechanics, Electrical engineering, Engineering Physics and Engineering Chemistry. Our classrooms are equipped with PCs and projection facilities and classes are made interactive with the use of power point presentations, videos and demos, Students access learning material, PPT’s and videos on “Moodle”- E-learning software. 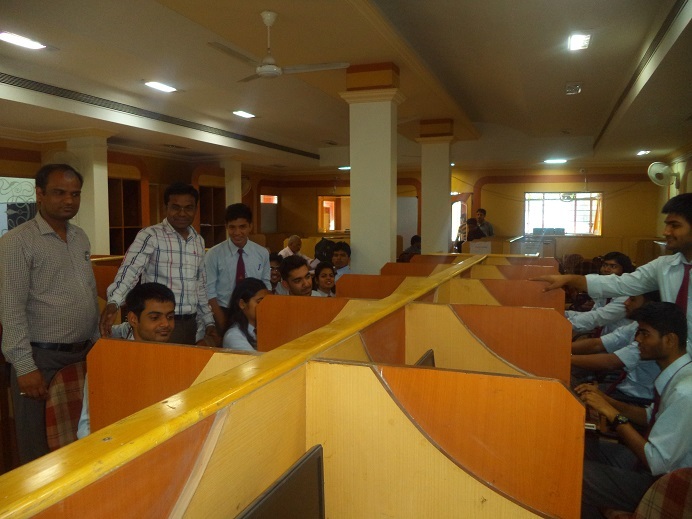 Mock online examinations are also conducted on “Moodle”. An orientation and induction program is organized in every session for each batch of fresh students. Students work on study based “mini-projects”, give seminars and submit the project reports on latest developments and interdisciplinary topics. Soft skill classes by professionals are conducted for students who are found to be weak in English. Guest lectures are regularly arranged by experts from academics and Industry. Our alumni also like to come back to their Alma mater and interact with their juniors. Inspite of being “freshers “our students actively participate and do well in inter- and intra- collegiate technical, cultural and sports events. Results of our first year students are one of the best amongst all private engineering colleges in Pune with pass percentage being in the range of 98-99%. In addition, a large number of students score first class and distinction. In 2016-17 the percentage of students scoring distinction was 81 % and 6.8 % students scored first class. Industry Personal and Alumni interact with students time to time. Area of Laboratory: 112 Sq.m. We have instruments like dumpy level, total work station and laser level etc. 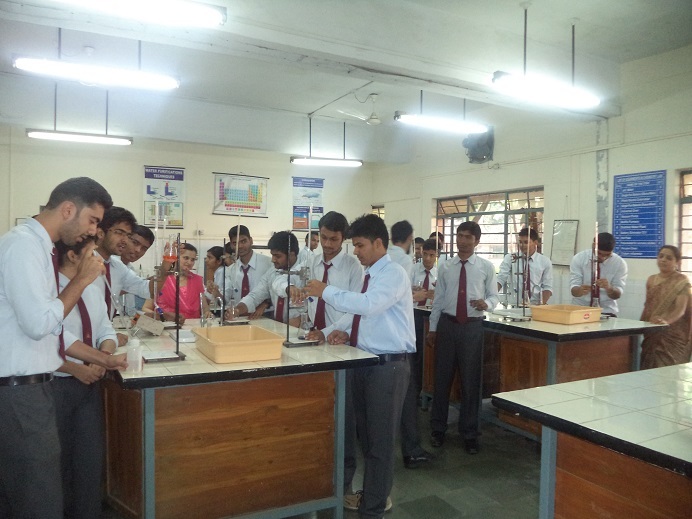 to perform experiments of subject basic civil and environmental engineering. Further, to conduct practical sessions of subject engineering mechanics we have set ups like belt friction, simple and compound beam etc. 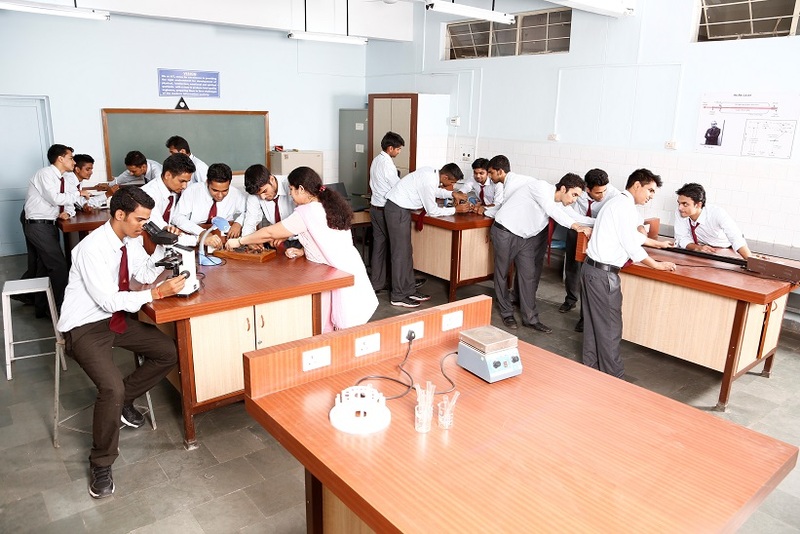 Laboratory is well equipped with sitting / drawing arrangement for students. The laboratory also has computers with internet connectivity. Further the laboratory has models like building, foundations types etc. for better teaching learning. 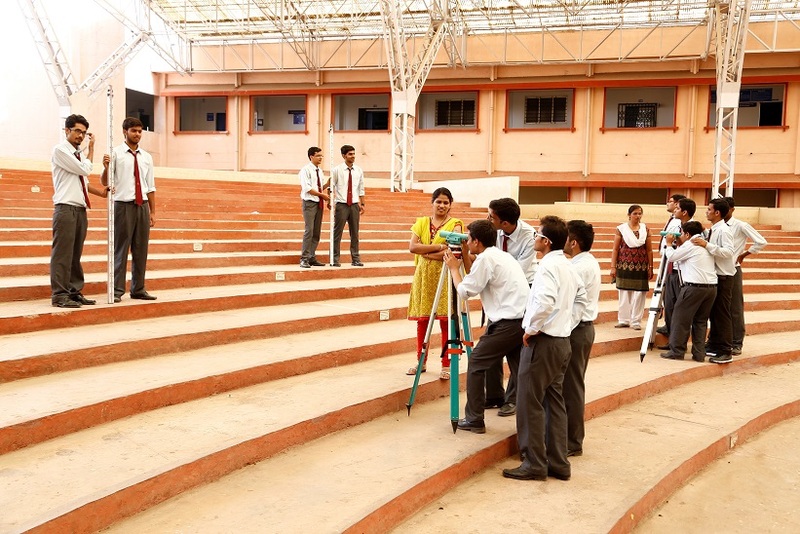 It also supports and helps the civil engineering works conducted in the college. Area of Laboratory: 92 Sq.m. For conducting practicals of both semesters of first year students. Colorimeter, pH meter, Single pan balance, Muffle furnace, Vacuum oven, Viscometer and various equipment necessary for FE practicals and beyond. Area of Laboratory: 114.6 Sq.m. 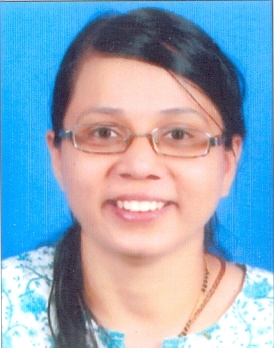 : For conducting FPL practicals , EGR II practicals and FE on line exams of Sem-I and Sem- II.